I know how it feels to have tried everything. You eat healthily, you exercise, you educate yourself. But it’s not working. Your anxiety remains. You can’t shift those pounds. You fear food and its effect on you. It’s not a one-size-fits-all approach. As a holistic nutritionist, I take your health history, emotional state, lifestyle habits, and current diet into consideration before suggesting a course of action. Then we take that action. Together. I’m here to help - let’s get started! 5 Appointments: Initial 60 minute appointment, and Four 30-minute follow-ups. 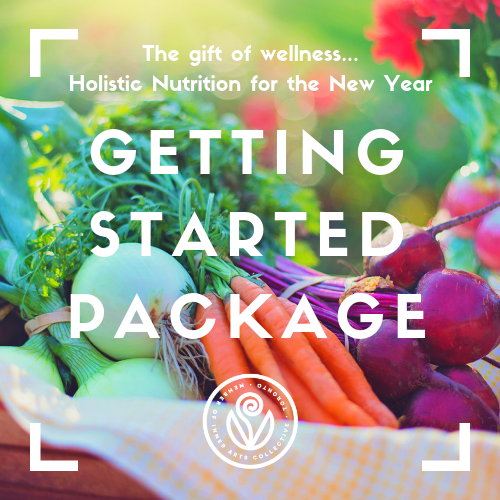 Personalized Wellness Plan – includes a nutritional assessment, take home report and personalized plan. Full support between appointments via text message and email. $500 including tax (can be paid in 5 installments) Normally $597 + tax. Insurance receipt available upon request.